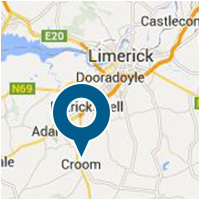 At Croom Precision Medical, we are dedicated to delivering the highest quality medical components to our customers. Our vast product portfolio has facilitated the medical device sector for the past 25 years. Our robust FDA registered quality system has allowed us to build long lasting relationships with global industry leaders within the medical device space such as Stryker, Tornier, DePuy and Zimmer, supplying high quality orthopaedic implants and instruments. Specialising in contract manufacturing, precision components and complete part finishing, croom precision medical strives to collaborate with clients as early as possible in order to deliver the most cost effective turnkey solutions. When dealing with our experienced engineering team, customer service and project updates are paramount. As the project develops through the various stages, the expertise and technical leadership at Croom Precision Medical will ensure that your project meets all regulatory and quality standards, both national and international. Having over 25 years medical device manufacturing experience for some of the world’s leading medical device companies, our dedicated team will collaborate with the client in order to seamlessly transfer medical device products from the client’s facility into our manufacturing facility. From the early stages of project feasibility, through to planning, development, validation and manufacturing, our team will ensure the highest quality of service and feedback is received by the client. We can provide class III medical device manufacturing and packaging solutions for companies seeking to establish a European manufacturing base. Croom operates a kanban process to ensure lean production methods are adhered to. We strive to facilitate the customer's supply chain in every feasible mannner and aim to allow for optimum cost efficiency. Quality and validation certs may also be produced upon the customer’s request. Our team understands that cost effectiveness is a significant factor and strive to invest in automation techniques and processes to reduce overall cost to the customer where possible. Small to medium volume batch sizes are also catered for post design stage. Over the past 30 years in business, CPM has manufactured and supplied complete and partial surgical Instruments, orthopaedic Implant assemblies and precision fixture/gauge solutions. Please do not hesitate to contact our experienced team if you seek a manufacturing capability which is not mentioned above.